This isn’t for just budding competitors, it is useful to sharpen up your kumite skills in general and a good workout session for fitness. Furthermore, Jason Ledgister is there also to contribute his vast experience. If you can make it, do it for you, your club and the Academy. 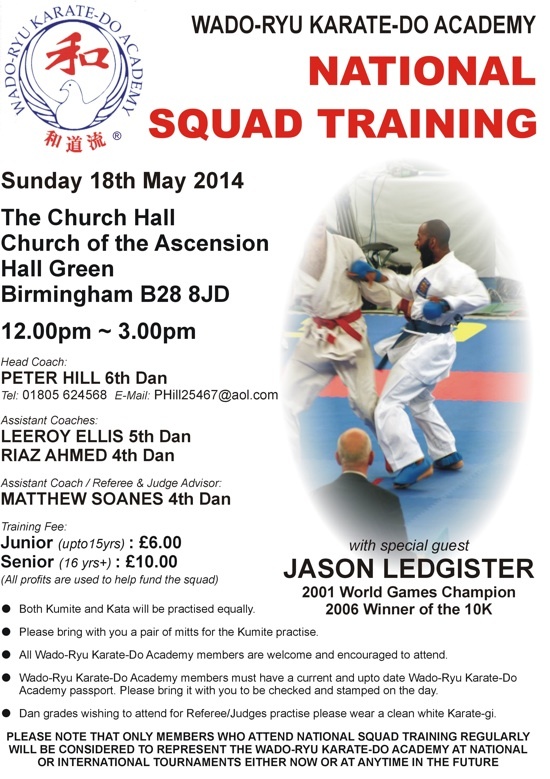 Training Course with Wado-Ryu Karate-Do Academy Senior Instructor Arthur Meek 7th Dan Renshi. Please go to Wado Academy Courses page for the forms. Sensei Arthur Meek will be teaching in Leeds on May 10, 2014. Please contact Jason Gallagher for more details, mobile 07971 345 277..